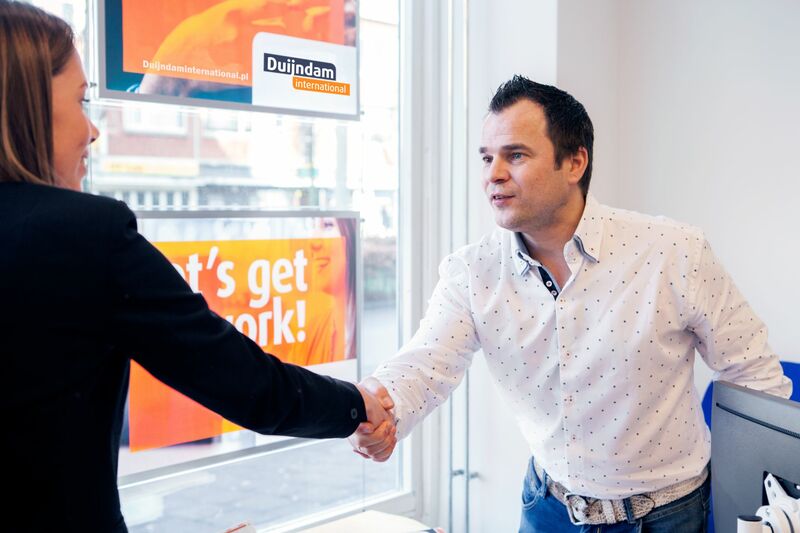 The recruitment process in Duijndam International is created for people, who are determined and motivated to undertake work and to achieve success. We reduced the formalities to minimum, so that you can depart and start working as soon as possible. 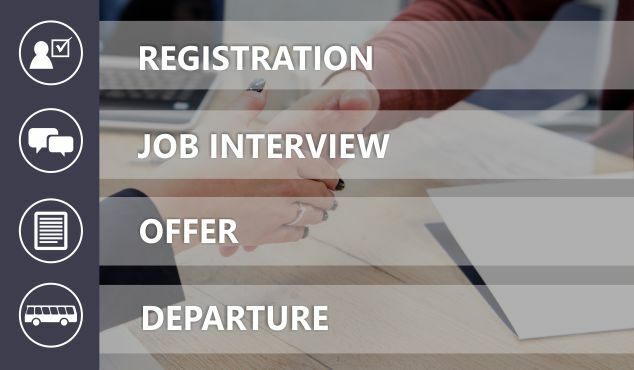 You are just a few simple steps from finding a new job! 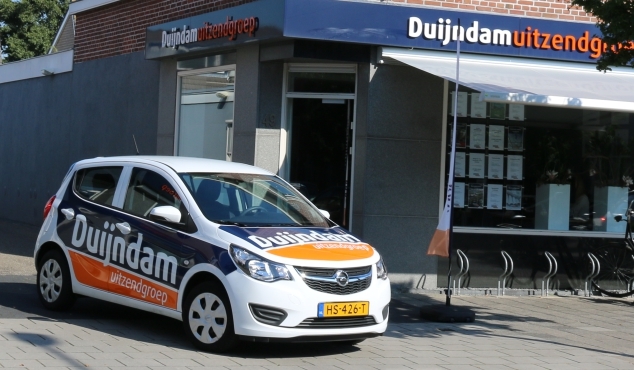 For many years, we have been cooperating with one of reputable transport companies, which will take you to our office in the Netherlands safely and on time. Departures are organised from across Poland. If you live in a small town, you will probably have to arrive in a nearby larger town or city. And what about the everyday transport to work? We offer convenient and comfortable accommodation in single-family houses. As far as possible, we try to provide accommodation as close to the workplace as possible in order to shorten the commute time, thus giving the employees more time to rest. In the houses, there is the common living room with a TV, the equipped kitchen, the toilet, and bedrooms. We provide free access to the Internet in each house. In order to meet the expectations of our employees, we constantly improve the flats’ standard. In our agency, the system of weekly working hours and wage settlements applies. 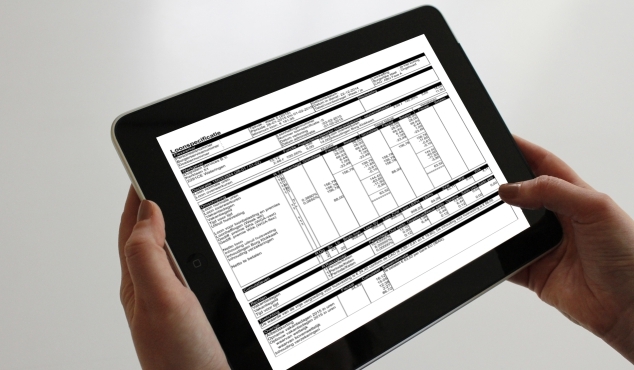 Via the website, every employee has a fixed and safe access to the history of his or her payslips and annual accounts (Jaaropgaven). The wage is transferred to the employee’s bank account. Healthcare cost insurance is mandatory for people, who undertake work in the Netherlands. Duijndam may apply for health insurance on your behalf. 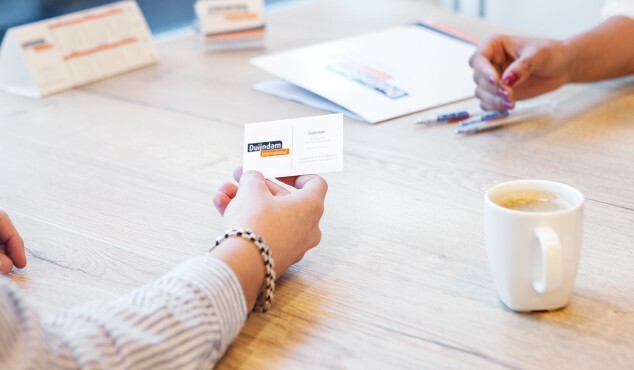 After registration, you will receive an insurance card, which is necessary in the case of a visit at a primary care physician or in a hospital. Health insurance premium is deducted automatically from the wage of each employee. In order to compensate for the part of the funds transferred to health insurance, each of our employee can apply for funding. Its amount depends on the amount of gross revenue. After arrival in the Netherlands, you will meet with our coordinators who speak Polish, Dutch, and English. They will help you to take care of any necessary formalities related to the agreement, insurance, tax, etc. They will also introduce you in the new company and will introduce you in the scope of responsibilities in your workplace. They will organise comfortable living conditions and will take care of a proper standard of the flat equipment and commuting to work throughout the entire stay. They will also contact you via phone and in person throughout the entire stay as well. They will help in matters related to work and the flat as well as will be in language assistance.